For your dining pleasure, the hotel's restaurants offer a wide variety of continental and local cuisines. The hotel's main restaurant, the Orchid Garden Coffee House serves an elaborate range of continental and local delicacies. The coffee house, set outdoor with the Sarawak River an its backdrop, the Poolside Pavilion is a great place to enjoy a drink and savour local delights. 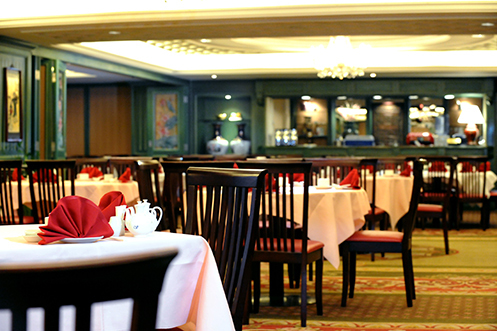 For Chinese cuisine, our Meisan Restaurant makes a good choice with its menu of hearty favourites. 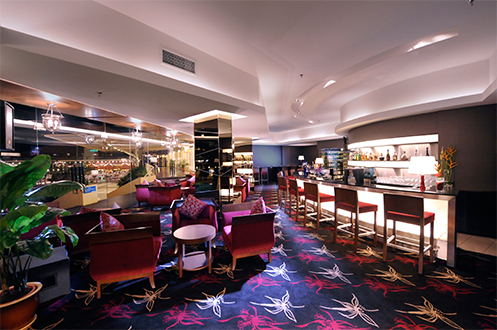 The Rajang Lobby Lounge is a cosy place to relax for light music and cocktails. 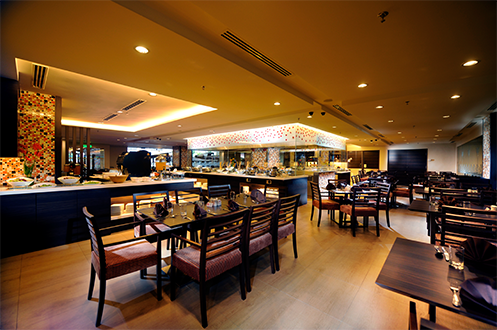 A relaxing and cosy dining ambience set against the view of Sarawak River beyond its floor-to-ceiling glass windows.The hotel's main restaurant for all-day dining is perfect for a leisurely breakfast, lunch and dinner featuring large offerings of international cuisines and local favourites. Sarawak Hornbill Tourism Award 2006 Winner. Experience the finest Chinese cuisines, dim sum and freshest seafood at our award winning Restaurant (Sarawak Hornbill Tourism Award 2013/2014). Featuring three private dining rooms overlooking the iconic Sarawak River perfect for gathering with family and friends. A cosy and friendly lounge in the heart of the city that is perfect to unwind and meet up. Dine and connect with friends and business associates in the midst of a warm and cosy ambiance, over-sized sofa seating and high-top table.